We don't normally review multi-purpose machines, either it's a rowing machine or it's not in our view. Plus, you often get comprises when designing a piece of kit to do the work of two. But after getting many emails requesting we review it, we decided to make an exception. So here's our thoughts. Please note most of this review is for the rower and not it's other incarnations. And also, if you do decide to order one of these you need to have two people at home on delivery. The machine itself weighs over a whopping 100 pounds (104 lbs shipping weight) so it's heavy. If you intend to use the machine upstairs you may want to consider how you'll get it up there, or assemble it in parts and transport it separately. However, once in place the transport wheels make it easy to move when folded. You may find it can take anything up to 2 hours to assemble the device depending on your DIY skills, And a number of our reviewers told us they had parts missing or different to the instructions in the box. So,onto the actual rower. First impression when sitting on the seat is that it's not that comfortable. This is important if you're going to sitting on it for 30 minutes or more, so it's not encouraging to discover it's not what it should be. 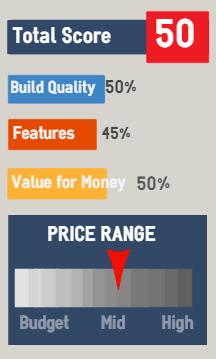 You could add a thin layer of foam or a cushion but this shouldn't really be necessary when spending around $800. The magnetic resistance mechanism is quiet and reasonably smooth. It has 8 levels of difficulty but one reviewer felt the highest level wasn't challenging enough. The resistance is changed by turning a knob beneath the display unit. The rowing handle is okay, if a little thin for those with larger hands. But instead of a chain, it has a fabric strap. This helps to restrict noise and is fine for the light to moderate user, but if you're intending to use the machine for regular, vigorous workouts, these so-called heavy duty fabrics can soon start to wear out. Some of our users reported plastic parts developed cracks after a few months (and as luck would have it, after the 90 day warranty period!) Although others say their machines are still operating without fault after 6 months. The footrests are large, in a good position and the straps will hold your feet nice and secure for rowing. It's surprising how many rowers are let down by the foot restraints, especially when you consider it's an integral part of the machine - it's impossible to row if your feet come loose! 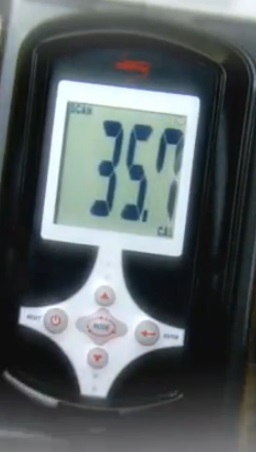 The display screen and digits are large and easy to read even in low light. It displays all the usual stuff you need to know - see our guide to workout data here.The controls are straight forward and can be figured out without referring to the manual. It does display your pulse rate but only when using the handles on the saddle for the recumbent bike and not while rowing. 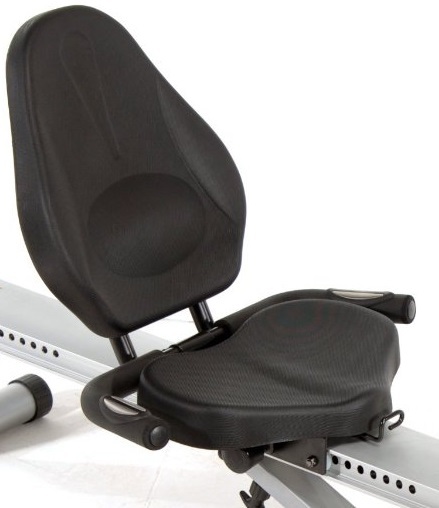 Hats off to Stamina for attempting to bring budget fitness equipment into the home. The Conversion II is an okay sort of machine for the home gym user with limited resources. It will give you a combination of cardiovascular and resistance workouts and help to get you toned up and maybe lose a few pounds. But as a rower it has its limitations and doesn't offer much for the price tag. One big disappointment is the 90 day warranty on all parts - this is no where near as long as it should be for something costing this much. See our guide to what to expect for warranties here. The seat could be better padded. 74.5" x 25.5" x 10"
3 months on all other parts. If it's a rower/bike combination you're looking for, the ProForm Dual is a much better model in our view - and it cost less! 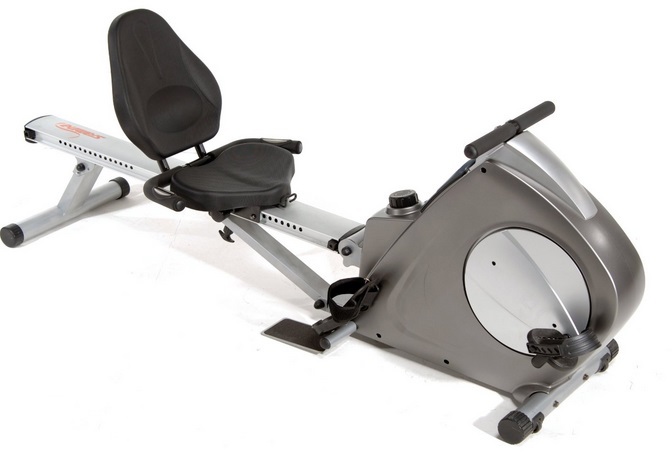 Or for around the same price you can choose from two great rowers - the LifeCore R88 also a magnetic rower, or the First Degree Neptune which is a water resistant machine. Both are far better rowing machines and will do more to get you fit! "I originally intended to use this machine for daily workouts but after only a few months I have had so many things go wrong that I dismantled it and got rid of it. 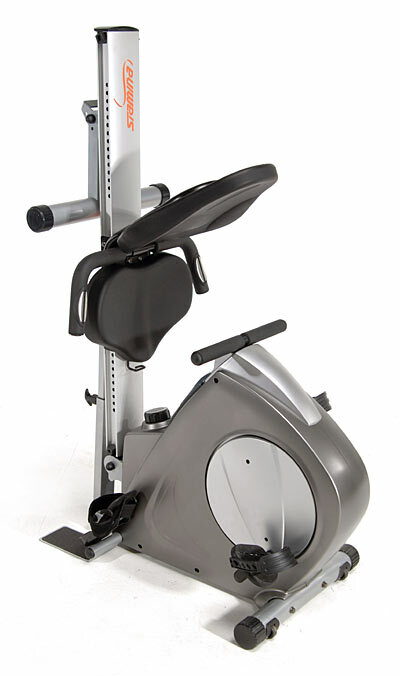 I bought a recumbent bike for another $100 and find it is much better." Patrica C.